Style & Concept: Pictoral Mark Logo as i have to put the logo on cells. Existing website link is [login to view URL] but i don't like the current logo. I need meaningful logo just like apple logo, iball logo etc. I need creative and unique logo that have meaning CREATE, STORE and SAVE Energy. If i like the logo then i will pay 100%. I have to put the logo on cells, business card, brochure, print media, letter head and invoice letter etc. Let me know if anyone want to other details. Look at this guys portfolio. His creativity is below zero. Too bad we can't leave feedback. can you create something same design #30 but some more creative. if you have an idea then please post new with creative. design#33, we are not construction company. 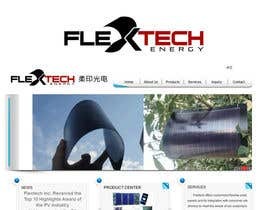 we are solar products manufacturing company. so we need that have meaning to CREATE, STORE and SAVE Energy. Please be creative for same design#25 and #26. How do you design #2 ..any feedback please ..? Sorry I mean Design #3..
i don't like the current theme. i need unique. Anyone can ask any questions feel free.